In many families, one individual is typically the financial manager, that is, the person who makes sure the bills are paid, savings and retirement plans are funded, who meets with the CPA at tax time. Traditionally, that has been the husband, even though women today have taken on more financial responsibility. 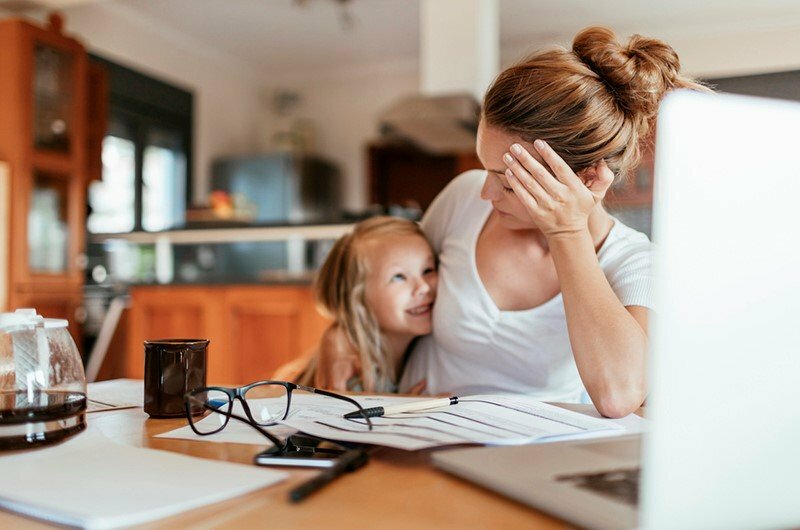 If you’re one of the many women who are so busy with day-to-day tasks that you don’t have the time for or interest in the family finances, you could be putting your future at risk. You should be paying attention, at least keeping up with financial matters. Not that you have to take over the checkbook, but there are things you can do to be better prepared for what might happen if circumstances change – and circumstances do have their way of changing. Attend meetings with your key advisors – financial planner, CPA, attorney. You and your spouse should both have a voice in those key decisions that will impact you and your family as your lives unfold. You should be in agreement on your goals and know what you need to be doing to reach those goals. Just knowing what decisions have been made is reason enough to be included in those key meetings. Become knowledgeable enough about your finances to know what to do should something happen to your spouse – disability, death, divorce are all too common occurrences that can put you in an uncomfortable financial position, having to make decisions you lack the knowledge to handle well. Minimally, you’d need to know the status of things like monthly expenses and bills, insurance premiums, and tax returns. Establish good credit for yourself and keep debt under control. These are important habits to adopt early in your adult life. If you don’t, it is a slick-as-ice slippery slope. It will grow harder and harder to reverse your course, to have access to credit when you need it, and to pay your debts in a timely manner. Debt can be extremely troubling. Mounting credit card charges can cripple your financial well-being. Know your estate planning details. You may have a will in place, but things change: assets are bought and sold, relationships shift, and your net worth can change dramatically. Most wills list the spouses as each other’s beneficiary. In the event of a divorce, your unchanged will might leave your ex – he might even have remarried by then – inheriting all your assets. You need to know how your estate plan is structured, and to bring it up to date when you experience a significant change in your life. Custody agreements and medical directives are just a couple more of the many legal documents you want to establish and maintain to your preferences. Ensure your retirement savings plan is in motion. Failing to keep up with your plan as you go through life is risky. History tells us that average inflation will double your cost of living every 20 years. That can sneak up on you. Given the effects of inflation plus longer-than-ever life spans, what seems sufficient now might not be later. Running out of money is one of retirees’ main concerns, and rightfully so. Often women tend to believe they will be provided for: the husband is saving enough for both of you, or the kids will take care of you. But things can happen to those resources. How much is enough money for retirement? That varies widely from person to person, couple to couple, based on such things as lifestyle and ongoing expenses. Be prepared for unexpected events. A death, divorce, a debilitating illness, or a natural disaster like a hurricane can wreak havoc on your finances. That’s why managing risk should be part of your financial plan – life insurance and how your need for that changes over time, disability insurance especially when you and your family depend on your earnings, and long-term-care insurance to deal with the issues associated with a longer life. Property and casualty insurance can insulate your finances from a big blow should a disaster, theft, or accident occur at your home or with a vehicle. Prepare for these situations by making sure you’re adequately covered, at least to a level that you can afford. To cover all of these areas, the best advice is to work with a professional financial advisor who follows a fiduciary standard, that is, someone for whom your best interests are their priority. Meet with your advisor regularly to review your progress and make adjustments to the plan as you move through life. Your advisor can also help you interpret and better understand the opportunities and decisions that come up along the way. Taking that kind of look at your finances helps you stay accountable, keeping you on track toward your retirement goals or letting you know what you need to do to get back on track. Don’t put financial issues on the back burner. Investing your time and attention on a regular basis with the help of your professional advisors is well worth the effort.